Critical Week: Who runs the world? It's been a busy week for screenings in London, as we're starting to get to see autumn festival titles. 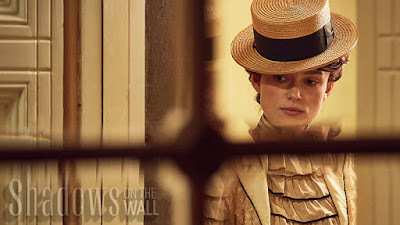 This week I was happy to catchup with Wash Westmoreland's biopic Colette, starring Keira Knightley as the iconic French author. It's a fiercely clever film, quietly subverting the period drama while addressing issues that are still current. Bradley Cooper's A Star Is Born is the fourth version of this involving tale of a fading artist (Cooper as a rocker) being eclipsed by his emerging-sensation girlfriend (Lady Gaga, surprisingly excellent). Damiel Chazelle's First Man stars Ryan Gosling as Neil Armstrong in the run-up to the moon landing. It's moving and intriguingly internalised. 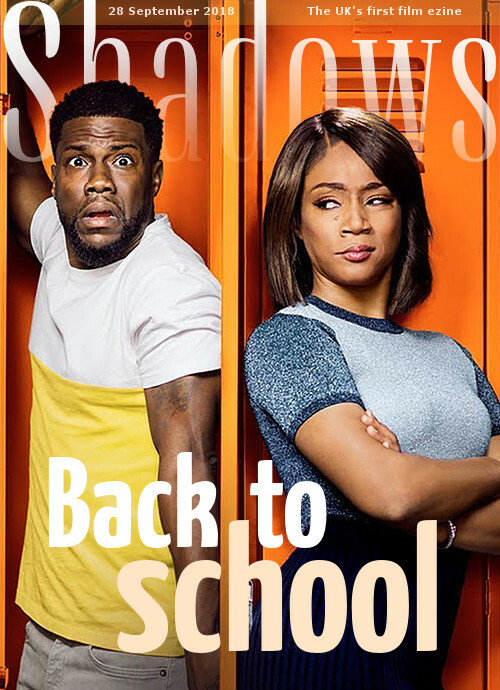 And Night School features the powerhouse team of Kevin Hart and Tiffany Haddish, although the script leaves them hanging. This engaging, gentle documentary traces the extraordinary life of the 85-year-old Supreme Court Justice Ruth Bader Ginsburg. Born at a time when women didn't dare to be lawyers, she was encouraged by her parents and later her husband to pursue her dreams. Her life is a remarkable story of overcoming barriers, refusing to take no for an answer. Then as a lawyer, professor, judge and justice she has been able to help bolster the law to create a more equal system. The film beautifully portrays her efforts to help men understand how it feels to be a second-class citizen as she pursued landmark cases to the Supreme Court in the 1970s, at a time when no one believed there was such a thing as gender-based discrimination against both women and men. There are also sections that explore Ginsburg's personal life as a wife, mother, grandmother, dedicated opera fan and terrible cook, as well as her unexpectedly close friendship with Justice Scalia. The filmmakers include a terrific range of archival photos and film, as well as interviews with her friends, family, colleagues and other public figures. The film captures her personality as a quiet, thoughtful woman with a steel-trap mind, determined to make the world fairer. She's soft-spoken, but her words have real power, and her lively sense of humour makes her even more likeable. Ginsberg is a living American hero, a champion for equality at various levels of society. release US 13.Sep.18, UK 19.Sep.18 • 18/US Netflix 1h39 ***. Bang up to date, this propulsive documentary opens as Texas passes laws restricting access to abortion, with a stated goal to ultimately overturn Roe v Wade. "Everything about abortion is a sin," say the proponents. And the other side replies, "Women have always had abortions whether or not they're legal, so if you want to stop them, help stop unwanted pregnancies." The filmmakers take an open-handed approach, exploring the collision of politics and religion that led to the Supreme Court's landmark decision in 1973 and then on to today's standoff. Both sides have their say as the doc carefully outlines the history of the issue in America, including the way Reagan and the Republicans switched sides on abortion (it was a deliberate strategy to lock in a voter base), as did Planned Parenthood (which was originally against abortion). Today the issue has turned religious, arguing against the murder of unborn infants. This has led to a system in which voters make their choice based on this issue alone, not whether the candidate is suitable for office. And in the 1980s it led to violence, including fatal shootings and bombings, perpetrated by fanatics who hypocritically called themselves pro-life. 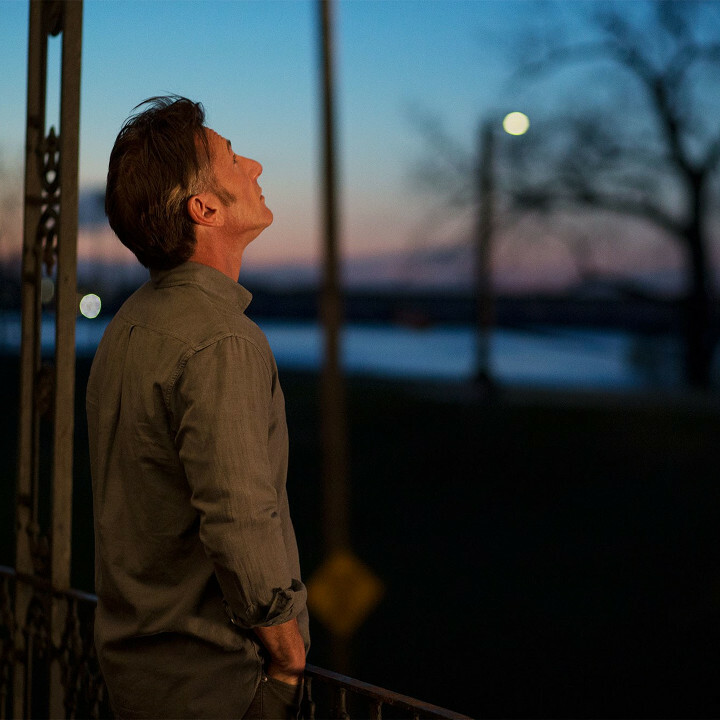 As it carefully balances the presentation of each argument, the film can hardly help but have a pro-choice slant, simply because the separation of church and state makes the issue legally clear. And also because the pro-life side is driven by men who use sleazy tactics. 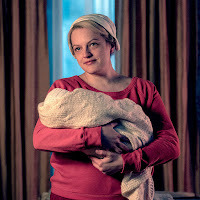 But the film also avoids exploring the idea that abortion is the taking of a human life, focussing instead on the fact that women should choose, not government officials. And certainly not middle-aged male politicians. 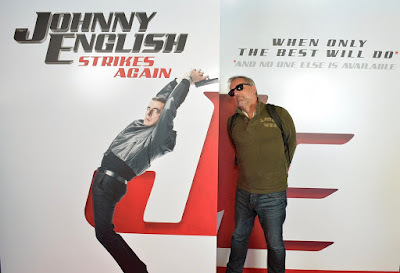 This coming week I have a lot more films for Raindance and London festivals, plus regular releases like Rowan Atkinson in Johnny English Strikes Again, Joaquin Phoenix in Don't Worry He Won't Get Far on Foot, Tilda Swinton in Suspiria, Aubrey Plaza in An Evening With Beverly Luff Linn, Emily Rajtakowski in Cruise, and the animated film Tehran Taboo. Exploring the colourful vogueing subculture in 1980s New York, this series is warm, involving, funny, sad and often exhilarating as it digs into its characters. The interaction is raw and honest, the situations are resonant and the glamorous balls are magnificent. 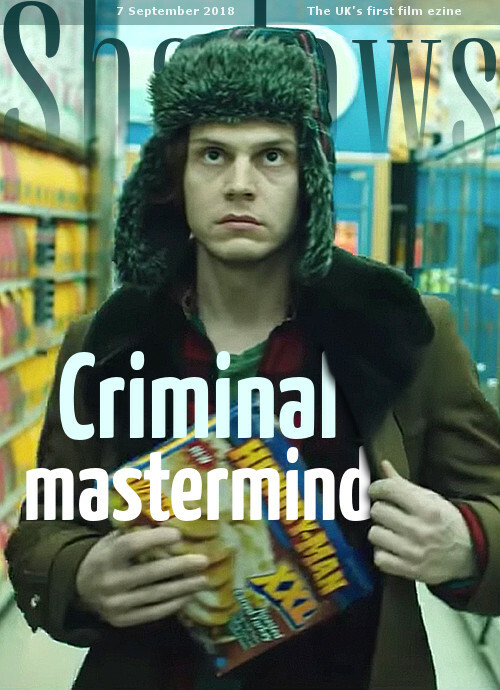 A side-plot involving Evan Peters and Kate Mara sometimes feels tacked on to unnecessarily provide white star power, but both are superb in complex, textured roles. Still, the stars of the show are awesome - likeable, compelling, inspiring and full of wonderful contradictions. 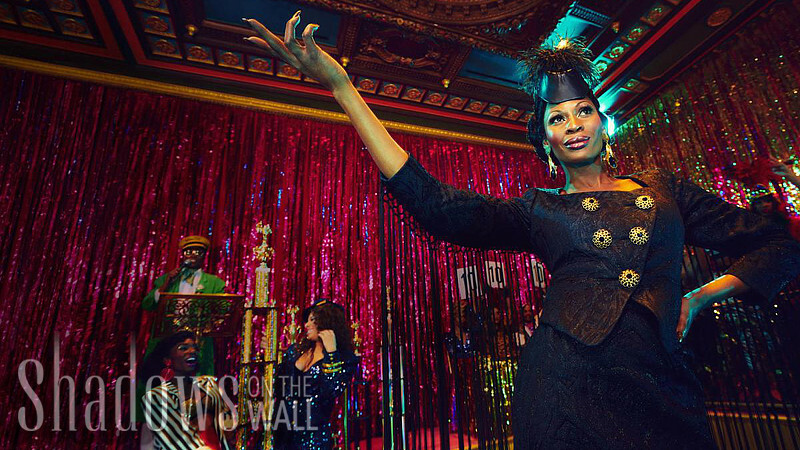 Special mention to Mj Rodriguez as Mother Bianca, Dominique Jackson as Mother Elektra (above), Ryan Jamaal Swain as young dancer Damon and the astounding Billy Porter as the host of the ball. These are important, urgent stories that have never been told like this. 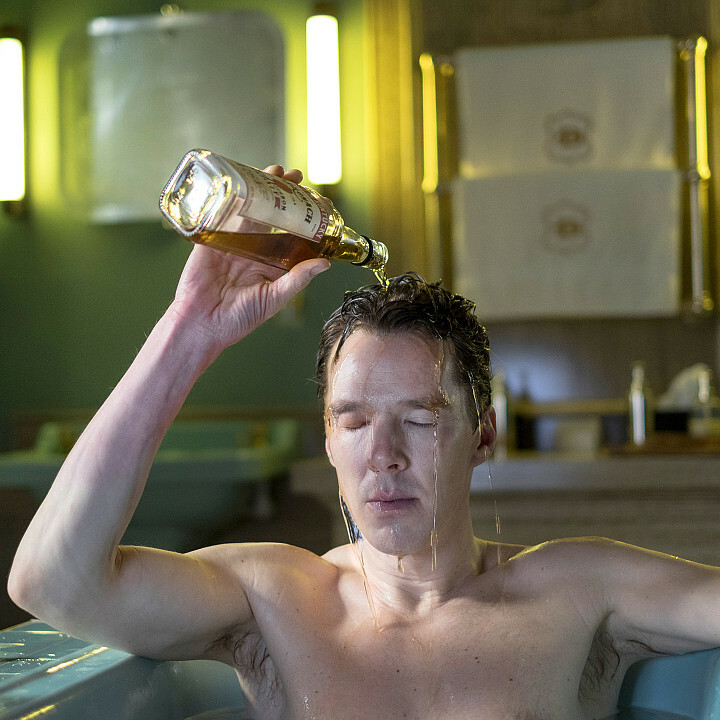 Edward St Aubyn's five autobiographical novels are adapted into this full-on five-part series centred on a magnificent tour-de-force by Benedict Cumberbatch in the title role. Opening with the death of Patrick's loathed father (Hugo Weaving) in 1982, after which he makes a vow to get off heroin, the story is a snappy blend of torturous flashbacks and wickedly funny inner monologs. Edward Berger's direction is bracingly inventive, and all of the characters are cleverly larger than life. It's a staggeringly involving story with properly deep twists and turns, as Patrick tries to put his past into perspective in order to make something of his life. Profound and important. Sacha Baron Cohen creates several more pranking alter-egos (see also Ali G, Borat, Bruno) for this seven-part series, which provokes people's opinions from politics to art. Playing various characters allows him to shift the tone from wildly obvious buffoonery to more subtle satire. Entertainment, often of the most chilling kind, comes when the guests fail to catch on, mainly luring gullible conservatives with crazy ideas they already want to hear. By contrast he confronts liberals with contrary ideas. When someone refuses to rise to his provocation, it says a lot. In other words, this is a telling comment on the state of a divided nation. Although it doesn't feel as subversive at a time when politicians say appalling things all on their own. 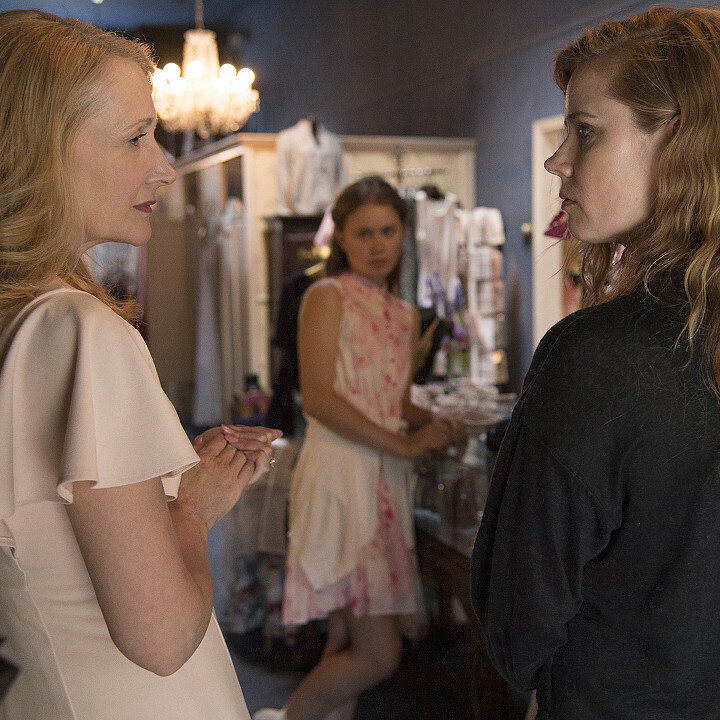 The setup may be a bit hackneyed (jaded alcoholic journalist assigned to cover murders in her sleepy Missouri hometown), but Amy Adams shines in the role as a woman reluctantly confronting her past, most notably her fearsome mother (the awesome Patricia Clarkson). This does kind of make the escalating murder mystery feel a little distracting, while the gurgling romance between the journalist and the hot detective (an almost-as-jaded Chris Messina) feels more than a little contrived. But then it is based on a novel by Gillian Flynn (Gone Girl). Thankfully, the writing is powerfully internalised, while Jean-Marc Vallee's textured, sultry direction is mesmerising. A British series with heavy Scandinavian overtones, this is insinuating and evocative, but it requires patience as it slowly reveals its story amid editing trickery, unfinished conversations and simplistic melodrama. The supernatural flourishes (mainly shapeshifting) are hard to get a grip on, but the emotions of the characters are raw and urgent. This helps carry the viewer through the infuriatingly vague Norwegian scenes in which whatever the calmly unreasonable Guy Pearce is up to with those women is pretentiously unclear. The real secret weapon in this series is the leading young duo, Sorcha Groundsell and Percelle Ascott. They are terrific together, and their journey is powerfully packed with yearning, confusion, intelligence and hope. The opening title for this series couldn't be more pretentious if it tried, but then the whole show's tone is often painfully over-serious. Still, it's watchable due to the solid cast anchored by a beefy Sean Penn and complex Natascha McElhone. And there are big ideas swirling as these people prepare to launch the first Mars mission. It's rare to see such a big-scale series resolutely refuse to indulge in the usual rush to urgency. The story takes its time to develop. So why have the show's producers given into the fad for chopping things into ribbons of flashbacks, dreams and imagination, making it a challenge to find the narrative line. It's evocative, and an intriguing story to tell, but it's packed with corny symbolism and inexplicable cutaways. Wyatt Russell is a slacker surfer dude who stumbles across a signet ring that introduces him to an oddball fraternal society that feels eerily familiar. He's such an idiot that he shouldn't be as likeable as he is, but there's a sense of yearning to the character, as he endeavours to get back everything his family lost. As his sister Liz, Sonya Cassidy is just as good, but the show's writers aren't confident or clever enough to give her storyline as much weight, so she seems to flutter around the edges. Thankfully, the screen is full of lively oddballs who hold the interest as the mystery spirals in unexpected directions. It never quite comes together, but it's engaging. There's a lot of clever stuff going on in this series, which harks back to characters and settings from various Stephen King novels. Whether or not you get all the references is irrelevant, because there's plenty to enjoy, starting with excellent performances from Andre Holland, Melanie Lynskey, Bill Skarsgard and especially the great Sissy Spacek. There are elements of this series that are trying far too hard to be clever, but there's also a raw, honest thread of emotion that underscores everything that happens. So even when there's something wildly unexplained happening, it's grounded in the people. Just like King's novels. Every element of this show is packed with double entendre, although it feels like rather a lot of bluster. 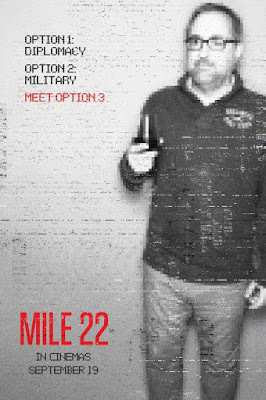 Despite being a Netflix show, this would almost be safe for network primetime, as the edginess is purely superficial. Thankfully, it's also very funny, playing up the dodgy things most people are thinking about, but these characters can't help but blurt out loud. Sparky supporting roles are enjoyably absurd, played by ace scene-stealers. 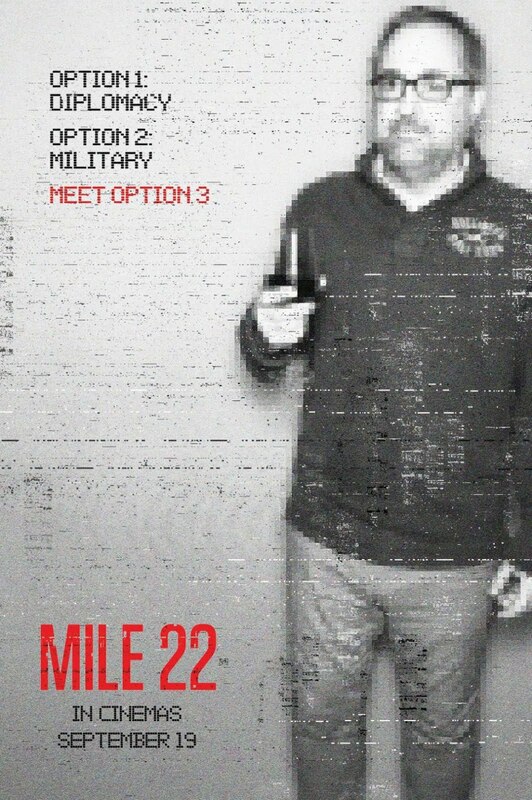 In the lead role, Dallas Roberts has a great time skilfully layering innuendo into everything he does and says. Opposite him Debby Ryan is also superbly unfiltered, although for a satire about beauty pageants and eating disorders, her casting is perhaps tone-deaf. But at least it tackles the issues. And it takes some intriguing, dark turns in the final few episodes. A remarkably quirky series, this starts out as something I would never be interested in (a drama about someone on a diet), but it quickly becomes much, much more than that. The surreal plot turns and wildly colourful characters continually send the audience in unexpected directions. The writing, direction and acting take absolutely no prisoners as they pointedly satirise a culture in which women are sidelined, especially those perceived as overweight. And the cast (anchored by the terrific Joy Nash) takes no prisoners as they fill every moment with subtle subtext and implication. This helps the central revolution take on a stand-and-cheer importance, even if the radicalised violence feels a bit over the top. Things continue to close in as Jason Bateman and Laura Linney remain just about one step ahead of being killed. Both actors are superb, as are the surrounding cast of equally desperate people. Even the fearsome new cartel lawyer (the magical Janet McTeer) seems to always be looking over her shoulder. The message isn't that crime doesn't pay, because it clearly does. But this is a rare show that presents the moral quagmire that results when rules are bent, twisted and broken. The writers continue to send these people spiralling ever deeper into trouble. For example, they're no longer just covering up murders, but actually responsible for killing people. And adding local politicians to their web is very clever. But the master stroke was the messy, awful relationship Ruth (the astoundingly full-on Julia Garner) had with her vile ex-con dad (Trevor Long). The second season of this show launched with a powerful bang, throwing the audience right back into this disturbing dystopia while propelling the forwards into the unknown. This season also spends more time looking backwards through flashbacks that looks eerily like present-day America, just as the fanatics are taking over the government. This portrayal of freedoms being removed in tiny increments is just as terrifying as the depiction of religious zealots running the country unfettered. This season got a little awkward plot-wise, including a few story strands that fell oddly flat. But the central narrative and themes remain riveting. The characters have deepened considerably in this series about stand-up comics in late-70s Los Angeles, as the writers send them into a variety of personal clashes. This includes some obvious moral issues, as they compromise to achieve their dreams: Ron (Clark Duke) earns a fortune as a soulless one-line joke on a sitcom, Eddie (Michael Angarano) scrapes a living writing for a fading star (a superb Brad Garrett), Adam (RJ Cyler) finds success on any front elusive, Nick (Jake Lacy) and Cassie (Ari Graynor) have deeply personal conflicts, Goldie (Melissa Leo) faces the wrath of her acolytes by refusing to pay them. Yes, the plotting feels obvious, so it's a good thing the actors are so good. I binge-watched the first two seasons of this comedy and thoroughly enjoyed its unusually high-concept premise. The first season is about a woman (the great Kristen Bell) who finds herself in heaven and knows she doesn't belong. A big twist turns everything on its head for the second season, as she teams up with the supernatural being (the fabulous Ted Danson) running the place on an elaborate scam. Over both series, the show resists the usual structures as it develops the characters in hilarious directions. Side roles for Jameela Jamil and Manny Jacinto are hugely engaging, as is the ever-evolving not-a-robot assistant Janet (D'Arcy Carden). Can't wait to see where the incoming third season takes them. The writing on this show isn't any better, but it's worth watching for unpredictable scene-stealers Miriam Shor and Debi Mazar. And Nico Tortorella is simply too loveable for words. Otherwise, it's flatly ridiculous that anyone still believes Sutton Foster's Liza is in her mid-20s (thankfully there aren't many who still do). And her romantic muddle is dull. It would be much more engaging to see her set up house and have a baby with Josh, twisting the title's meaning in a new direction. Hilary Duff's character has better storylines this time, entangled with two very different men. And the take on the shifting role of publishing, while still a bit fantastical, at least tackles relevant themes while playing with super-current media. 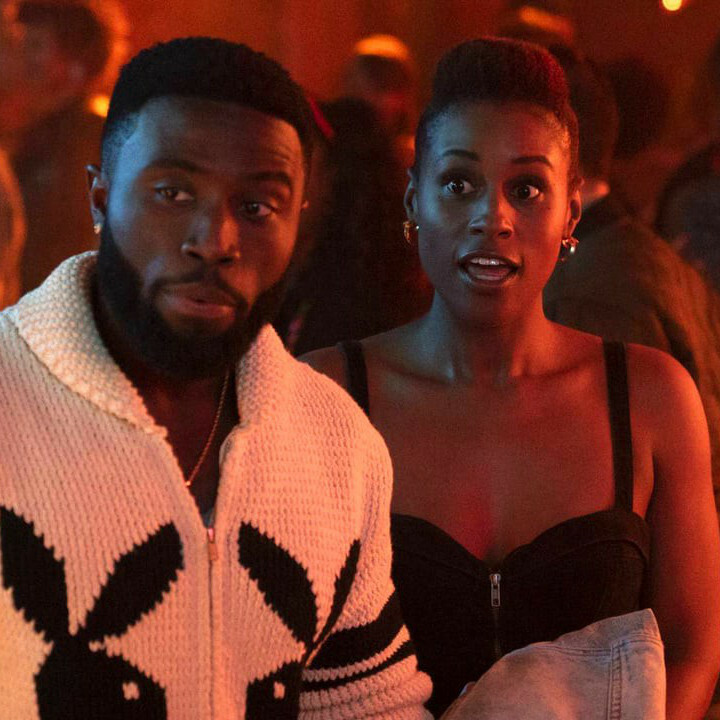 Issa Rae is back for this sharp comedy, which still relies a bit too heavily on personal awkwardness and misery, with tiresome predictable calamities at every turn. Y'lan Noel and Kendrick Sampson are nicely beefing up Issa's love life, plus the lingering ghost of Jay Ellis. The side characters are fun (and funny), but their plots are less involving, and the new storyline for Yvonne Orji's Molly feels under-developed. At least this season they finally took on the issue of the workplace, its endemic racism and particularly Issa's tone-deaf boss. But frankly I would also rather see the show-runners give Issa and Molly a few triumphs, maybe a bit of self-confidence that will make the show's title more ironic and less simplistically defeating. Critical Week: Fun for the family? It's been frustrating that the biggest releases of the week are simply not being screened to the press (favourite critics see them, but no one else), so I never got to review the top two films on both the US and UK box office charts, namely The Predator and The Nun. With these titles I'm not that bothered, but others are coming up very soon that I can't really skip, like the Bradley Cooper/Lady Gaga remake of A Star Is Born or Tom Hardy in Venom, neither of which have announced London screenings yet. It seems to be becoming a strategy for bigger studios to withhold films from the majority of reviewers, which is putting our jobs in jeopardy. So this week I didn't see any big movies, just smaller ones. Support the Girls (above), starring Regina Hall, is being oddly billed as a comedy when it's actually a wry drama. It's not a bad one at that, as it gently takes on America's sports-bar culture. Sam Rockwell stars in Blue Iguana, a scruffy British heist comedy that has its moments but never quite becomes notable. Smaller than those, The Song of Sway Lake stars Rory Culkin and Robert Sheehan as young men caught in a swirl of nostalgia in old-money America. It's dreamy and intriguing, but not very satisfying. Summer '03 is an oddly abrasive coming-of-age story that boldly takes on some big issues without really saying much. Never Here is a noir mystery that's moody and evocative, even if it never goes anywhere. And Padre is an offbeat Italian film starring writer-director Giada Colagrande and her husband Willem Dafoe. The acting is great even if the central exploration of grief feels underwhelming. More satisfying were the three documentaries: Won't You Be My Neighbour is a gorgeous trip through the life of American TV Icon Fred Rogers, beautifully capturing just why he was so magical for several generations of children (including me!). Tea With the Dames (original UK title: Nothing Like a Dame) is an extended conversation between old friends Maggie Smith, Judi Dench, Joan Plowright and Eileen Atkins, with wonderful observations on life and work over the past 60 years. And Science Fair is the hugely entertaining look into the world's biggest teen science competition through the eyes of these lively aspiring scientists. 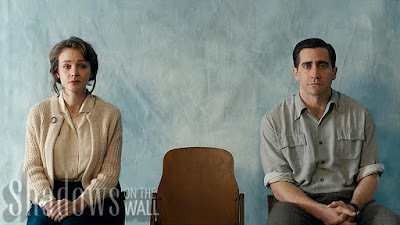 This coming week's films include Ryan Gosling in First Man, Keira Knightley in Colette, Kevin Hart and Tiffany Haddish in Night School, Rachel Weisz in Disobedience, the Joan Jett doc Bad Reputation, and a pair of Supreme Court docs: RBG about Ruth Bader Ginsberg and Reversing Roe. Press screenings also start for the London Film Festival, so I'll be banking reviews to run when the festival is on 10-21 October. 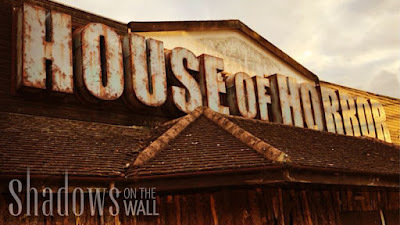 Opening on 28th September in an abandoned building in the woods near Brentwood, Essex, House of Horror calls itself an immersive 4D experience. But that doesn't quite go far enough. This is a freak-out that puts you right in the middle of a series of bonkers scenarios lifted from horror movies in a deliberate attempt to scare the liver out of you. They let the press in for a dress rehearsal a few weeks before launching to the public, and I have to say it was more fun than I expected. And not quite as scary as I hoped. But then, I'm a jaded film critic who finds it difficult to blur the line between fact and fiction. 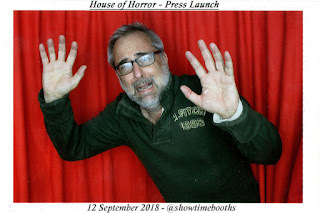 Elements of the event were disorienting, creepy and downright revolting, but I never felt in danger. That said, I never got to enter the final, dreaded Room 13. But the effort that went into creating the previous 12 rooms was impressive. When you arrive, you're asked to sign a rather long waiver consenting to possible injury and death, then turn over everything you have in your pockets (the only thing you can carry into the house is the cloakroom ticket). There's street food and drinks while you wait your turn, then a shouting masked man verbally abuses you as he drags your group of 10 into the superbly dilapidated building. Inside there's a brief orientation video after which a hood is placed over your head and you're led into the next room. A series of carefully staged experiences follow, as each room combines wit and nastiness to keep you as off-balance as possible. There are ghostly spirits, evil demons, mechanical mishaps and maniacal medical workers with knives and chainsaws. In one room, there's a challenge to complete that involves something truly disgusting. In another you're blinded by strobe lights and told to find a way out. There's also more pitch-black weirdness and some claustrophobic grisliness. Finally you emerge, blinking into a large area where there's more food and drink, plus a chance to strike an appropriate pose in the photo booth (see below) and recover before signing another waiver and entering the ominous Room 13, if you dare. I wasn't able to go in there, sadly. But I had a lot of fun in the previous 12, and I didn't need to evoke the safe words. The actors are all excellent, with a few stand-out stars along the way. Some are funny and others are creepy, but each is hugely engaging, staring you down and involving you in improvised dialog that's often hilariously aggressive. This is a thoroughly physical experience, throwing you right into scenarios that are skilfully designed and constructed. Surprises lurk around each corner. Some rooms are astonishing in their attention to detail, others are a little more rough and ready. 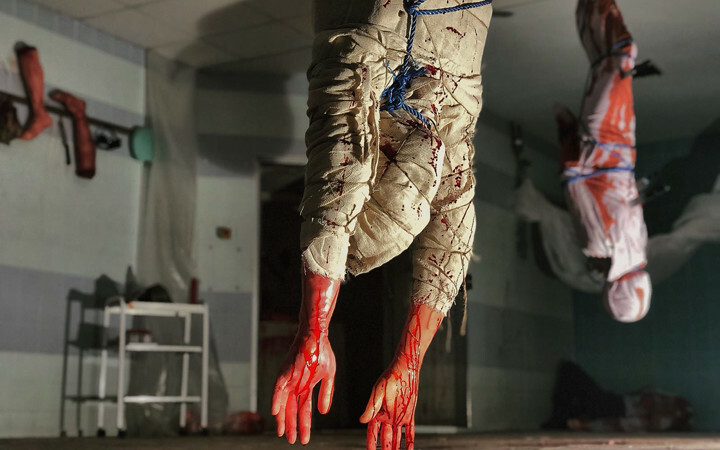 There are elements in each room that are seriously inventive, and there's no doubt that it will get better (and scarier) as the cast push the limits of each scenario. Note that the location is a challenge for anyone without a car, as it's too far to walk from Brentwood station. Also, the experience is not accessible for anyone with limited mobility. And it's advised to wear comfortable shoes and clothing you don't mind getting (ahem!) blood on. In this job, it can be frustrating watching film festivals like Venice and Toronto from afar: clearly these are the movies that will factor in at year-end, yet those of us not at the festival have to wait, and wait, wondering when we'll be able to see them so we can write about them and consider them for the awards we vote in. Clearly I was spoiled by being in Venice for the last couple of years! Anyway, we caught up with one notorious title, a Sundance film that will play at the London Film Festival next month: Assassination Nation is a full-on satire of modern teen culture, playing on social media and toxic masculinity as it heads into its horrific climax. 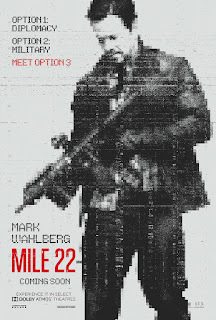 The rest of the week was eclectic: Mark Wahlberg and director Peter Berg reteam for another action thriller, Mile 22, and the film feels loud and thin, even for them. The Rider is an exquisite doc-style drama about a South Dakota rodeo cowboy grappling with a new reality. Lucky is a delicate, witty tale about a salty 90-year-old war veteran in rural Arizona, played by the wonderful then-90-year-old Harry Dean Stanton. A Boy. A Girl. A Dream. is a beautifully shot single-take romantic odyssey through nighttime Los Angeles starring Omari Hardwick and Meagan Good. And Lost Child tells a creepy story from the backwoods of the Ozarks, cleverly weaving folklore with current social issues. A little further afield, José had its world premiere in Venice, and I got to see it in London: it's a powerful drama from Guatemala about a young gay man who finally begins to think he might be able to have a happy life. Complex and beautifully made, it won the Queer Lion. Another gay-themed drama, Sodom is a contained British drama set in Berlin about two strangers whose lives cross momentously. From Palestine, Wajib is a quietly involving look at an estranged father and son going about their family duty before a wedding. And Bisbee '17 is a strikingly original doc that explores events in the Arizona mining town a century ago. This coming week is a little slower than usual - no idea why that might be, as there are plenty of films on the horizon that I need to see. Anyway, I'll be catching up with Willem Dafoe in Padre, Mischa Barton in The Basement, Sam Sheperd in Never Here and Rory Culkin in The Song of Sway Lake, among other things, no doubt. I'm missing being in Venice this year for the festival, but it's been a busy week for screenings in London. This week we've caught up with the Sundance hit Wildlife, Paul Dano's riveting, moving directing debut starring Carey Mulligan and Jake Gyllenhaal as a couple coming apart in 1960 Montana. It's powerfully told from the perspective of a teen boy (Ed Oxenbould), as is Eli Roth's offbeat horror movie The House With a Clock in its Walls. 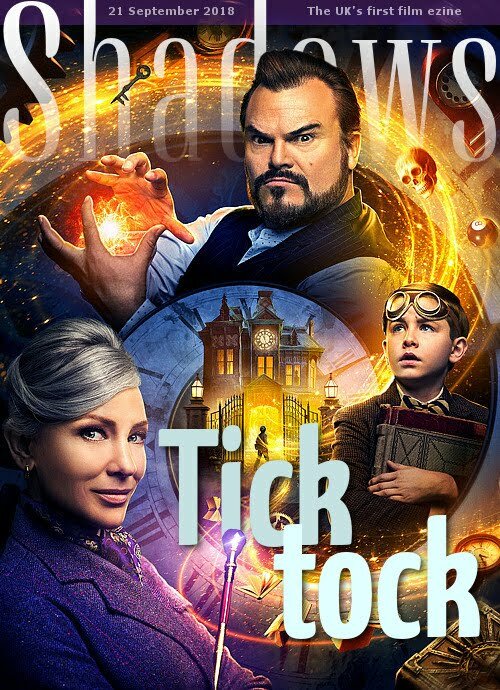 Its main stars are Jack Black and Cate Blanchett as magical neighbours who take in a teen boy (Owen Vaccaro) with scary/comical results. The most fun at the movies this week was the screening of US box office hit Crazy Rich Asians, a fairly standard rom-com plot packed with massively entertaining characters. The all-star true heist story King of Thieves features Michael Caine, Jim Broadbent and Tom Courtenay, and is more fascinating than thrilling. The all-star adaptation of Chekhov's The Seagull features Annette Bening, Saoirse Ronan and Elisabeth Moss, and is involving but perhaps over-ambitious. And Jeremy Irons has a great time chomping on scenery alongside Jack Huston in the engaging comedy-drama road movie An Actor Prepares. And there were two less-starry offerings: Five Fingers for Marseilles is a gorgeously shot modern-day Western from South Africa about childhood friends facing off over the future of their struggling hometown. It's seriously powerful. And the Raindance documentary I Hate New York is the eye-opening profile of four trans icons who have changed the fabric of the city they love (yes, the title is ironic). This coming week I'll be distracted from the goings-on in Venice and Toronto by Mark Wahlberg in Mile 22, Bella Thorne in Assassination Nation, Harry Dean Stanton in Lucky, Omari Hardwick in A Boy A Girl A Dream, Blaxploitation remake Superfly, the mystery thriller Lost Child, the British drama Sodom, the Palestinian drama Wajib, the Guatemalan drama José and the immigration doc Bisbee '17.